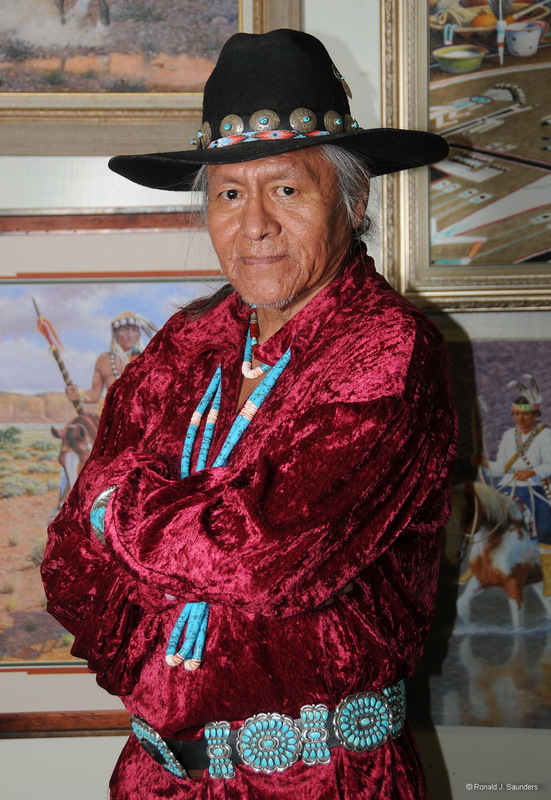 Jimmy Abeita, the lendendary Navajo artist, poses in front of his display of painting. LeRoy DeJolie held the portable lighting comprised of one SB flash and a softbox. September 18, 2011 at Window Rock, Arizona. Photo © copyright by Ronald J. Saunders.